This picture was taken on April 14, 2013 after I crossed the finish line of my first half marathon, what a year it was. It all happened so fast and looking at this picture reminds me just how far I've gone in my fitness journey and that if you set your heart and mind on something, you can make your dream a reality and one that you can crush like a true champion. This year I set a very important resolution and that would be to be the runner that I was just 2 years ago. I made sure to say it out loud, not only on an IG Story where there would be witnesses, but also out into the Universe. Once you make a decision, the universe conspires to make it happen! And boy did it happen. I'd said out loud that maybe a half marathon would be in the books this 2018. But it was a little unbelievable to see that it would happen this fast and that it would be the half marathon that I was meant to run last year and didn't. When it's meant to be, it's meant to be and the Brooklyn Half Marathon is that race that is truly meant to be in my running book. All NYC runners know just how hard it is to get to run the Brooklyn Half Marathon. You have to be on your computer at the time that the application opens up. It sells out within hours, last year it sold out within an hour. 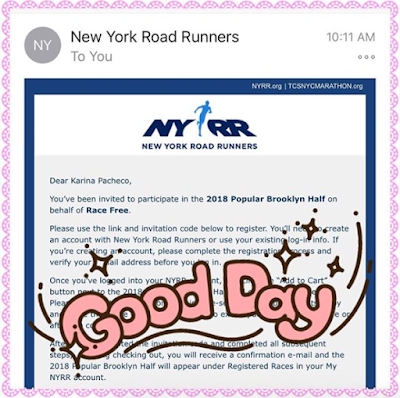 The luckiest of all is to get an invite to participate and not have to worry about the racing fee, but even more luck is to have it happen twice. Yes, an invitation to participate two years in a row. Last year I would run but I didn't end up training properly, which means I barely went for a run. Going to the park twice is not training and can do truly do you harm, therefor I emailed the nyrrc a night before and let them know that I wouldn't be running. It was one of the hardest things regarding running that ad to be done. 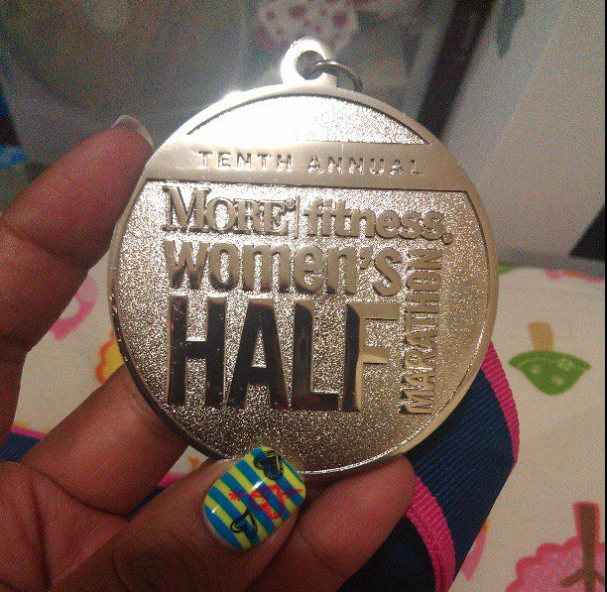 My first half marathon was done while I had the flu and it was so amazing to be able to complete it feeling the way that I did. 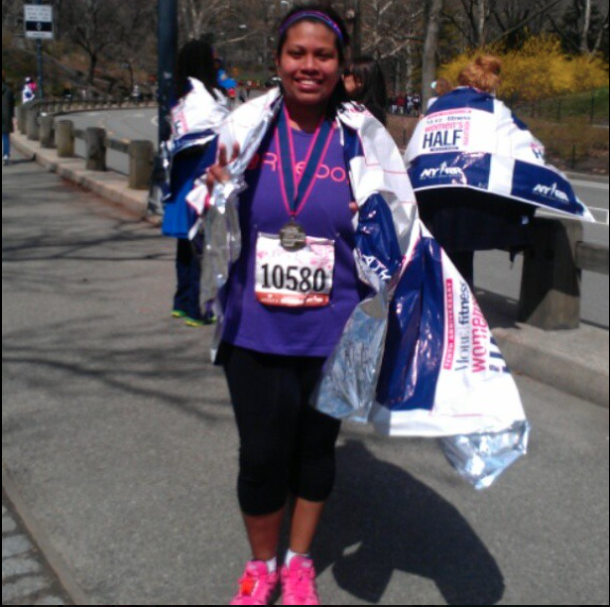 But thinking to that day also reminded me of the training that it took for me to be able to cross that finish line. The training that had not been done last year. This time will be different. Everything is already planned out and organized in my planner. Training will start slowly and I will make sure to put in the miles needed for me to cross that finish line on May 19, 2018. The goal after all is for me to cross that finish line, no matter the time, no matter if I'm walking or running across it but to cross that finish line. 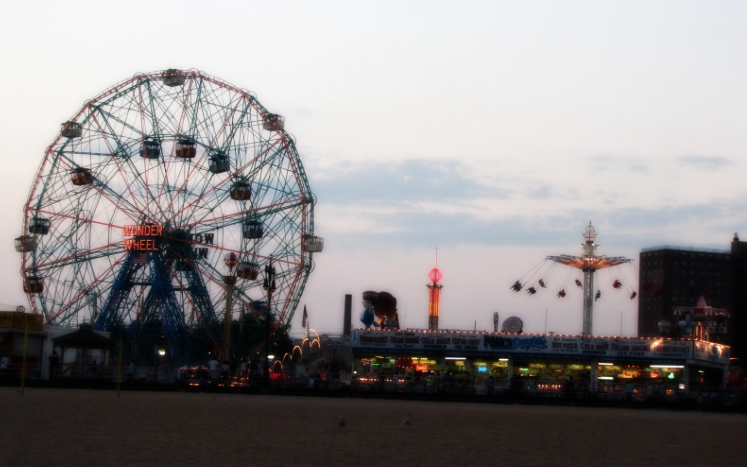 To run across the Coney Island Boardwalk and run towards that Wheel Of Wonder which can be seen as you run towards that finish line. To say that I'm excited is an understatement, I am also worried and feel a little queasy as I write this blog post out. There are times when I can be my hardest judge. Training will mean time away from my kids, it will mean a lot of focusing and a lot of believing in myself. That's where my amazing support system comes in, which is made up of my family. My mom who gets to stay with the kids while I go to the park or the gym, to all of my family who helps me when I'm feeling like I can't, and to my amazing dad who is my coach who helps me train and goes with me on those training runs while reminding me that I got this. It will be a grueling months, where there might be days of believing in myself and days of not believing in myself. Bare with me, as I'll be coming to this little space of my internet to vent. Most of all I'm excited to earn my second half marathon medal and show Valentina just how strong we are and how we can accomplish anything we set our hearts on. a hashtag that I used a lot when training for races and one that you can follow as I train for my second half marathon. This year is my year and it will be an amazing one. 2 comments on "It's Time To Regain My Mommy Runner Title"
Hi! Stopping by Mom Bloggers Club. Great blog!